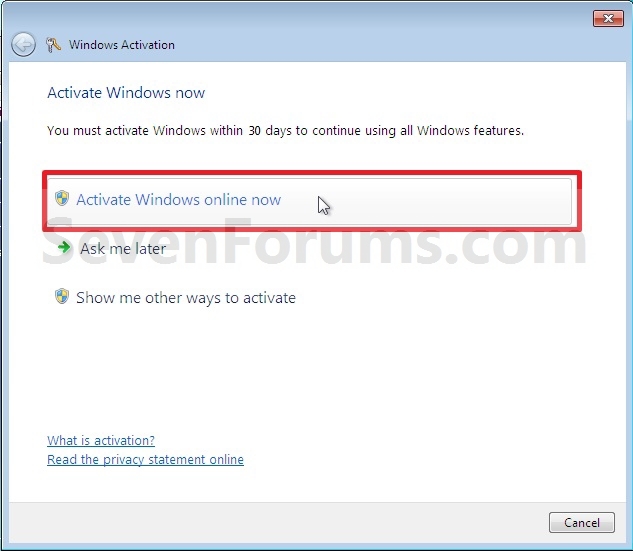 You must activate Windows 7 within the 30 days grace period after installation before it expires. 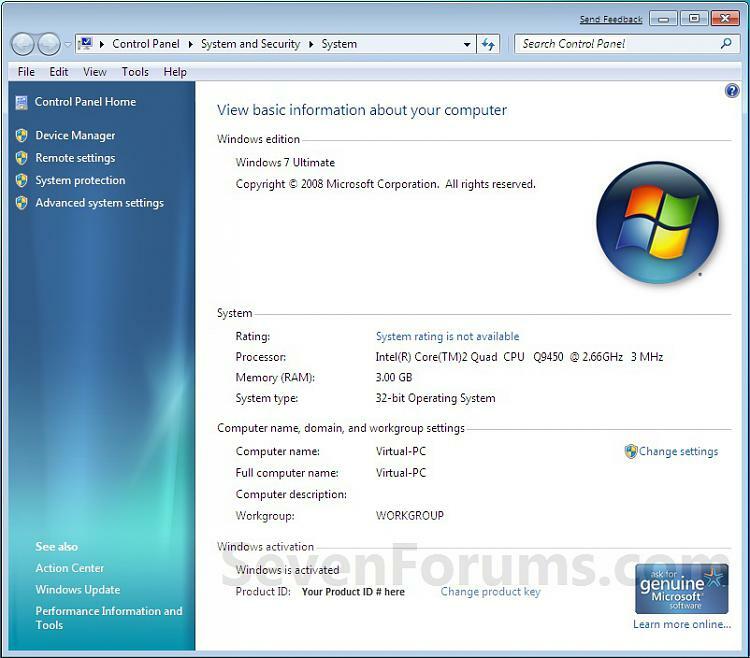 When Windows 7 is activated, you'll be able to use every feature of Windows 7. If you chose to Automatically activate Windows when I'm online when you set up your computer, automatic activation begins trying to activate your copy of Windows 7 three days after you log on for the first time. See METHOD ONE below. 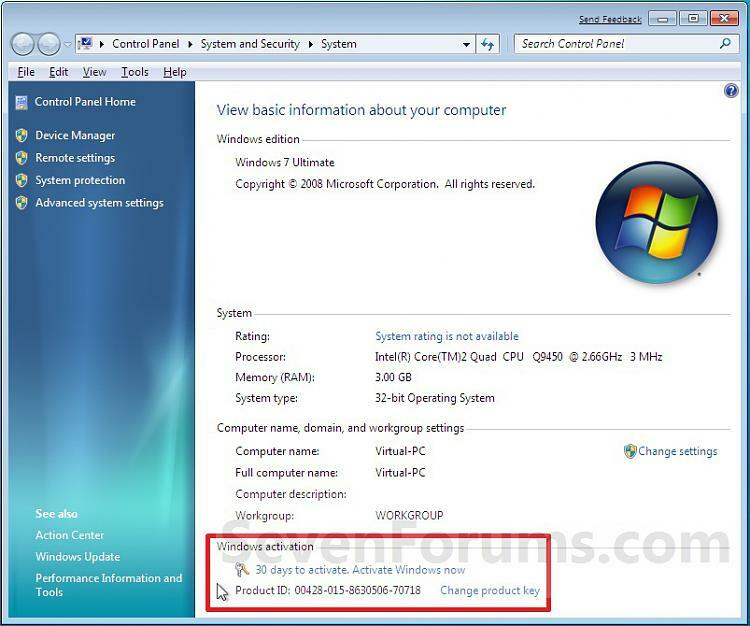 If you install Windows 7 on a second computer, you must buy an additional product key number to activate the second installation to continue using Windows 7 on both computers. NOTE: This does not apply to the Windows 7 Beta or RC builds though. -That's the warning when you just simply click next the moment the installer ask for your serial key. 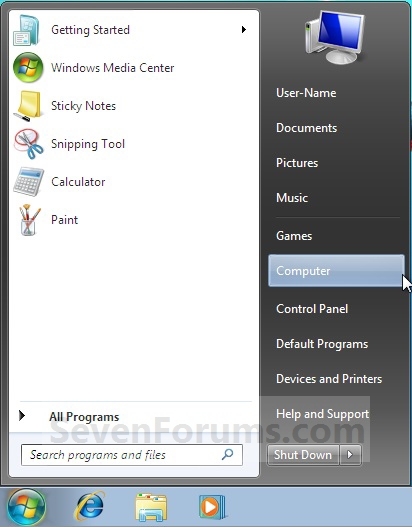 But this article will show you how to activate windows 7, incase you don't have a serial key. Or accidentaly clicked next when the installer ask you for the serial key. 1. Open the Start Menu, and right click on the Computer button and click on Properties. NOTE: If you did METHOD ONE above, then you will see 3 days to activate. Activate Windows now instead. NOTE: You will not see this screen if you have entered your product key number during the Clean installation or Upgrade installation of Windows 7, or if you did METHOD ONE above. 6. If successful, click on the Close button.